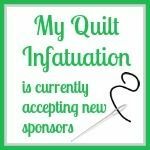 My Quilt Infatuation: Black Friday Awesomeness and a Giveaway! Ooh I love that last bundle of fabric. Happy thanksgiving!!! Black Friday is best when I don't have to leave the house. Thank goodness for all the wonderful online shops. What awesomeness for black friday! 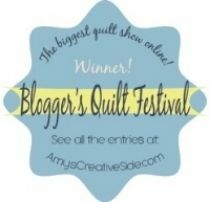 Thank you for this post - I am off to shop for my quilty friends! 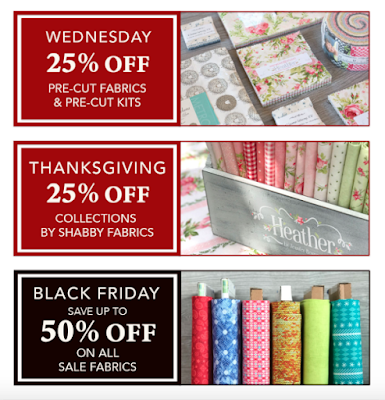 I love holiday fabrics - I love the ones posted at Lou Lous! 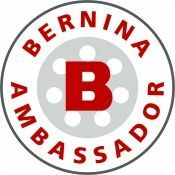 Some fabulous sales and a fantastic give away. Thanks for the chance to win. Such good sales! 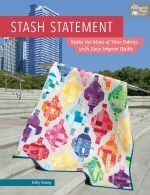 I am really getting tired of staring at the same fabrics in my stash so it might be time to add in some new pieces! These are some gorgeous fabrics!! Thanks for sharing all the places I can go to enhance my stash!!! Such a temptation to go shopping at LouLou's...I will get there today! I love the reds in that bundle! This is a great list! I'm trying to show self control! Let the holiday shopping fun begin! Thanks, Kelly! It's time to make a Christmas quilt for a very special family member I have in mind. I really love the color palette of silver, read and white with a touch of green. Ahhh fabric... it's makes me happy. 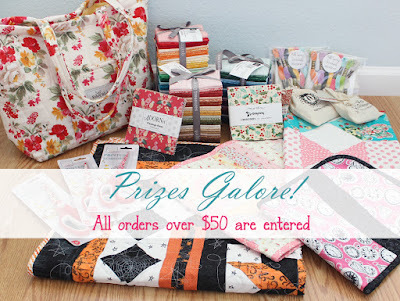 Gorgeous fabrics - wonderful giveaway ~ please enter me. 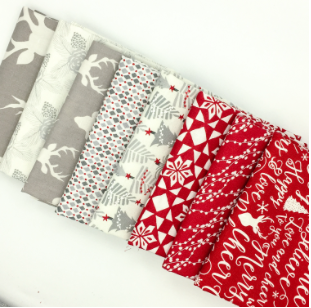 Love the Christmas fabrics from LouLou's! Thanks for pointing me in the direction of so much temptation...I mean, excellent deals! And many thanks for the giveaway. 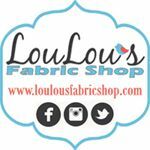 Definitely need to check out LouLou's......love the fabric bundle. Thanks for the giveaway Kelly. I haven't made it to LouLou's yet. Time to fix that since they're showing such a gorgeous fabric bundle. 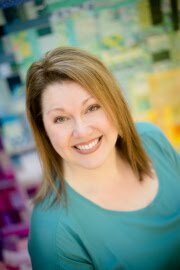 Kelly, thank you for rounding up all these great sales....CHristmas fabric is still on my list so I'm sure to find plenty. Thank you to all the sponsors, you're amazingly generous and so appreciated. Thanks for the great sales - I'm gonna get carpal tunnel from clicking this weekend! What a wonderful weekend of thankfulness and happiness! And all these sales too. So exciting. 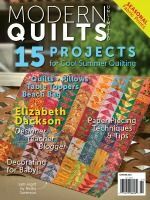 I could use some quilt backing fabrics! 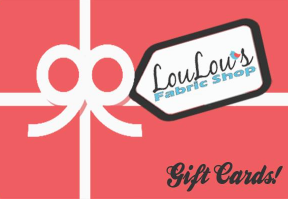 Wow awesome giveaway, thanks to both you and Lou Lou’s! Thanks for all the info on the fabulous sales! 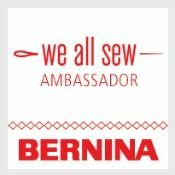 I am on a fabric diet, so a giveaway would be a real treat! So much eye candy! How do you decide! I see so many I love. Thanks for the head's up on these awesome deals! And the give away is spectacular! 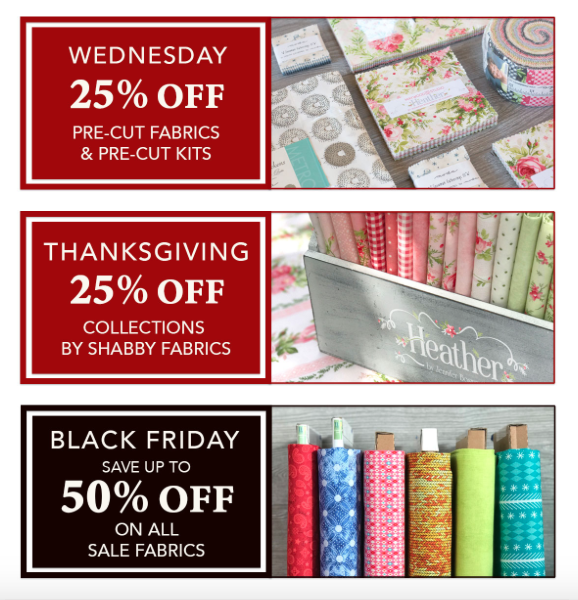 So many great fabric deals! Looks like handmade birthday presents for 2018! Beautiful fabrics for a holiday weekend! 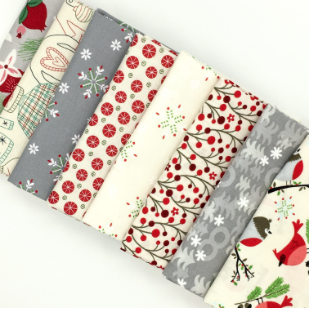 Those Christmas fabrics are beautiful and so vibrant! All of the fabrics are beautiful. Would love to win any of them. My email link is near top left sidebar of my blog. Thank you for all of the great sale information! Thank you for the information. 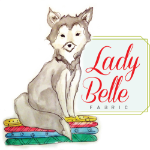 I will head over to Lady Belle's and take a peek around. What a wonderful bunch of sales you've posted. Thank you so much. Happy Holidays to you!! Wow, so many wonderful sales, thanks for letting us know! Hope you and your family had a wonderful Thanksgiving. Thanks for the links to all the great sales! You've got great sponsors - so tempting.... Tis the holiday season, so let me wish you a happy holidays all the way around. Enjoy!